Samsung today unveiled its new Android smartphone Samsung Galaxy Grand, featuring a dual 1.2 GHz processor, 5-inch display and 8-megapixel camera. 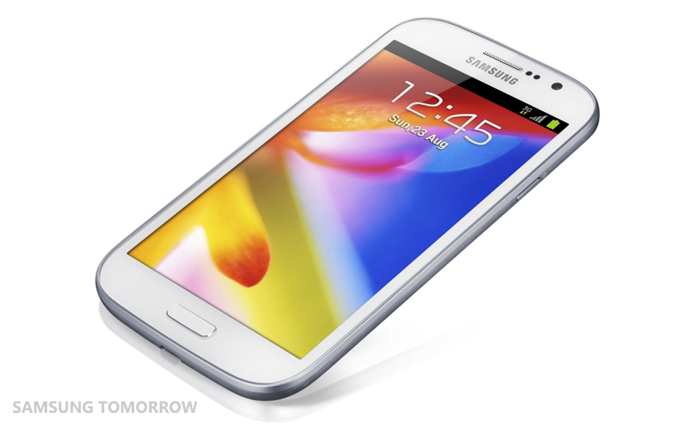 Samsung GALAXY Grand runs on the Google’s latest operating system Android 4.1.2 (Jelly Bean). Samsung will launch Galaxy Grand models in two versions such as the dual SIM version (GT-I9082) first, next by the single SIM (GT-I9080) model. The Galaxy Grand comes with a 5 inch 800 x 480 WVGA TFT LCD display and offers 1GB RAM, 8 GB of internal storage capacity, supports upto 64GB of external memory using microSD. The Galaxy Grand is 9.6mm thick, which comes in slightly thicker than the 4.8-inch Galaxy S III and packed with 2,100 mAh battery. 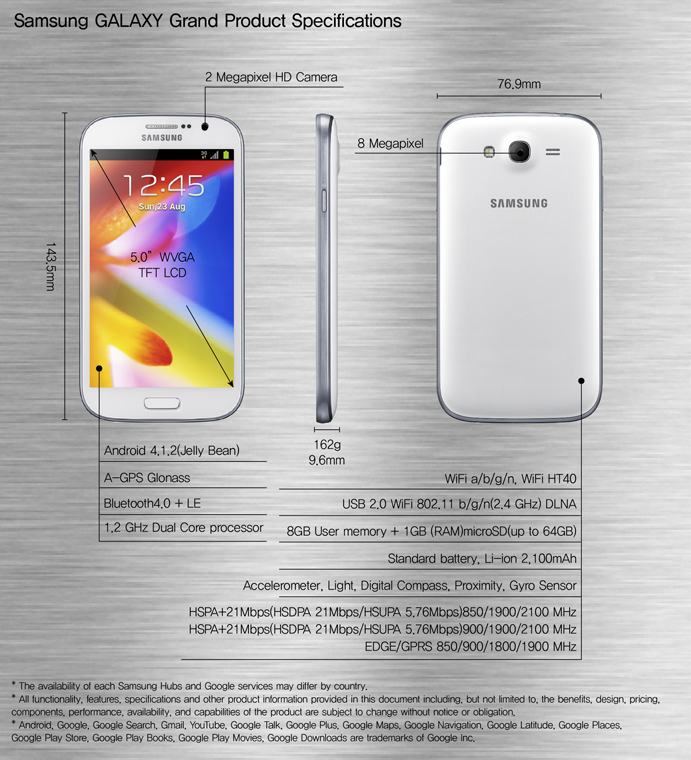 Galaxy grand offers 2 MP front camera while back camera comes with 8 Megapixel which . It includes a backside illumination sensor to ensure clear shots even in dark conditions, as well as Full HD video recording. As of now the Samsung Galaxy Grand pricing and its availability are yet to be known. Let us know your views about this smartphone, in comments..